Light is the fourth dimension of architecture. And every form of architecture is unique. Based on this guiding philosophy, the new ERCO fair stand enabled product innovations to be experienced one-to-one in their spatial context. These included new technologies such as the Casambi Bluetooth control, highly specialised zoom lenses with adjustable light distributions for lighting works of art and spotlights with COB LEDs for cost-efficient retail lighting. Lighting solutions demonstrated their effect within specific applications in application rooms designed especially for the purpose. For example the Work area with new downlights for track showed new possibilities for genuinely flexible office lighting. In this way ERCO demonstrated how light supports concentrated work and dialogue within a digitally networked knowledge society, as well as offering investment security because luminaires can simply be taken along with a relocation. 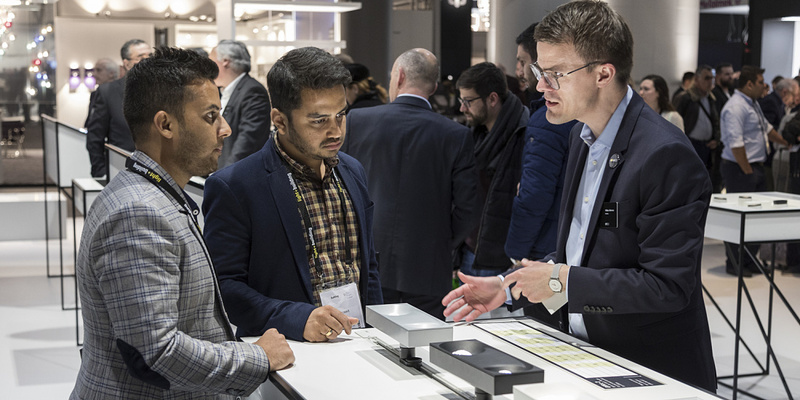 To support lighting designers in creating customer-individual lighting solutions, ERCO also offers its 'ERCO individual' service for project-specific product solutions that can adapt precisely to customer needs. 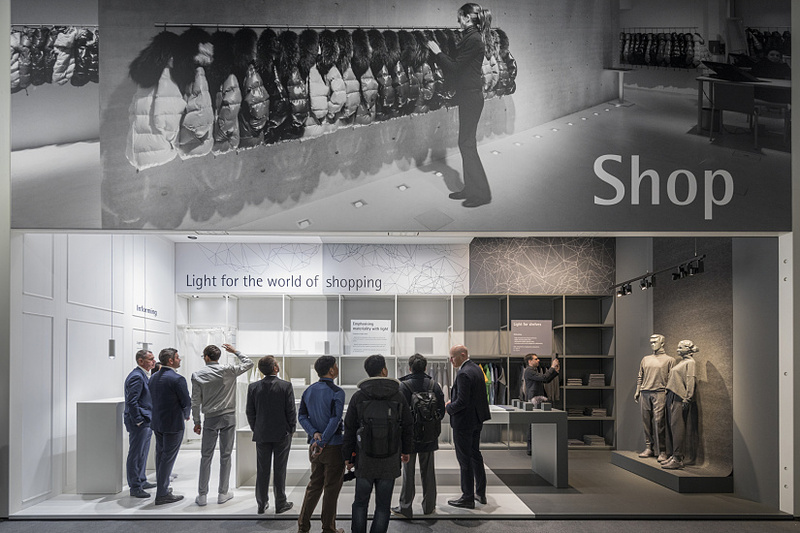 All new products and lighting solutions could be viewed and experienced within a spacious presentation area. The stand was significantly enlarged and was not only completely redesigned but also in a modular way. This makes it a particularly sustainable system that can be flexibly reused in the future. 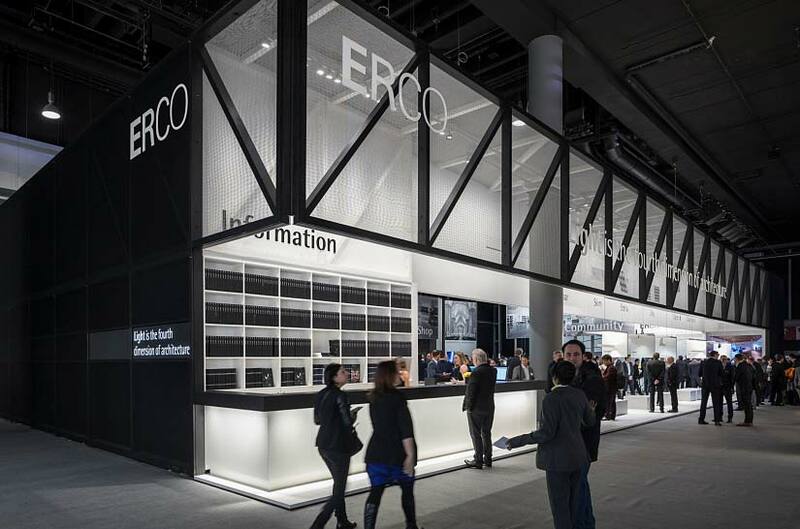 The ERCO fair stand presented itself as a platform for the dialogue between lighting designers and manufacturers and as an innate example of contemporary trade fair architecture.